I didn’t google, but I Gogoled a bit. This post is not dead serious, it’s a product of my odd association – consider yourself warned. I have always loved the Russian classics, especially novels by Nikolai Gogol, Anton Chekhov, Fyodor Dostoyevsky, Leo Tolstoy, and Mikhail Bulgakov. Many experience these as too heavy and melancholy, but not me. Ha, I’m a daughter of a librarian. I am lucky to have a great people around me, many very vibrant ‘souls’, both people that are close to me in real life and also lovely personalities I’ve met in the social communities, especially Twitter. 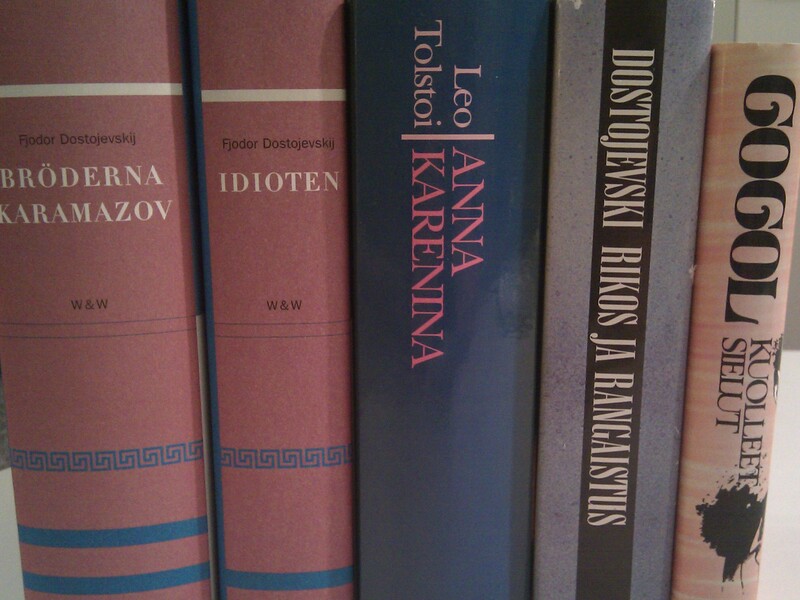 And from the vibrant, living souls my thought wandered to Gogol’s Dead Souls. In the novel a character by name Chichikov collects dead souls. For Mr. Chichikov the number of dead souls manifests as property, and with large number of those, him being a wealthy man. Aren’t the followers which do not share anything common with you a bit like dead souls? For example, in Twitter I am followed by a restaurant owner on the another side of the globe, several real estate agents running their local businesses far away from where I live, and so forth. I must be nothing but a dead soul for them. No harm done, I don’t mind, but I am afraid my SaaS, Cloud and Enterprise 2.0 tweets are pure noise to them. The Cherry Orchard is a story about an aristocratic Russian family who wishes to maintain the status of their present life and of the entire environment they are living, 100% unchanged, refusing to see any need for changing it. Isn’t this family just like an organization (and its management) that wishes status quo to remain, in form of their existing strategy, position and competitive edge? An organization that refuse to embrace the emergence of social and mobile in their business environments? Anna Karenina describes the social issues on the 19th century, especially from perspectives of marriage, class, and from the different kinds of relationships between individuals. With numerous interrelated plots unfolding on the way, on all levels. The wonderful, rich scene of relationships and the powerful characters forming counter parts, reminds me of the social community sphere: with all its beautiful interactions, valuable knowledge flows, its benefits and with its weaknesses. Altogether forming a sphere where there is room for all kinds of relationships, both growing ones, and yes, some unsuccessful ones. Or even some drama. There are many other examples in the literature, but I’ll leave room for your imagination. Luckily social communities don’t have to be like a happy family all the time: there’s room for all emotions, diversity, different opinions. Let us continue to build and develop vibrant communities, with respect towards each other, and focus on learning and value creation! PS Go to Turku to see Krista Kosonen as Anna, she is good! Would be really interesting to have a longer discussion on the topic!